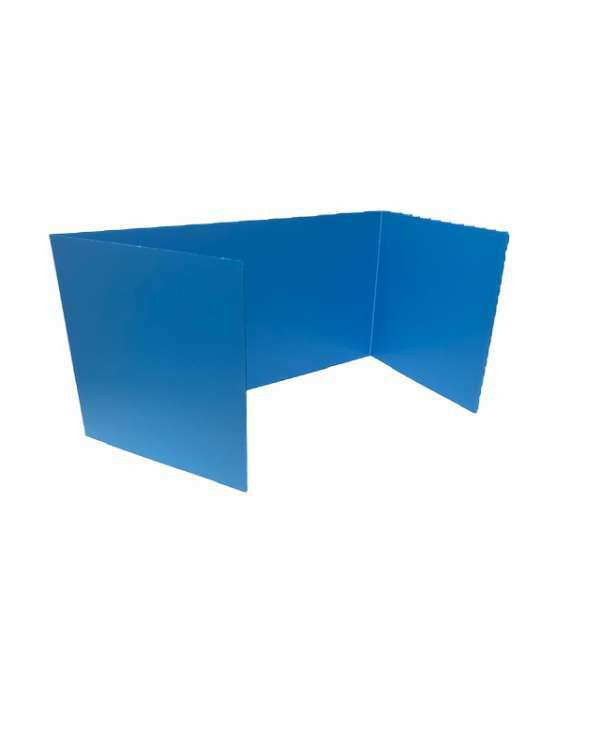 Blue Premium Study Carrels Pack of 24 are made from durable, lightweight corrugated plastic. Rounded corners are safe for use with children. These study carrels are superior to less rigid competitor products. When looking for a study carrel that can be used twice as long as our corrugated paper study carrels, you have found it! Pack of 24 Study Carrels. 12" x 48"